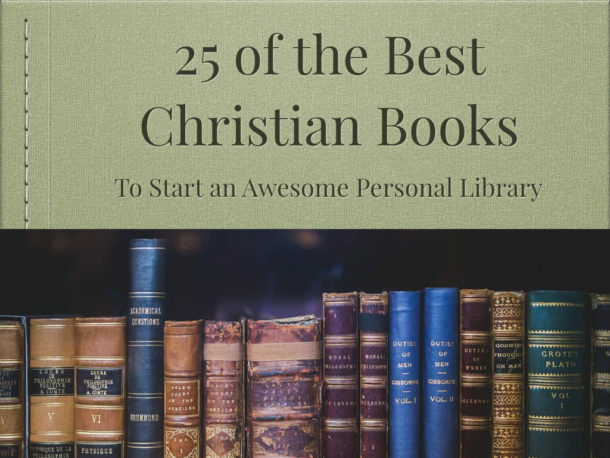 What are the best Christian books available today about Christmas? Here are some of our top picks. 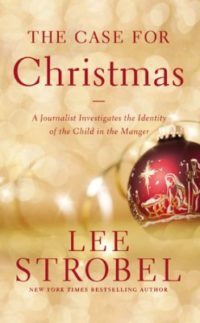 Consulting experts on the Bible, archaeology, and messianic prophecy, award-winning legal journalist Lee Strobel searches out the true identity of the child in the manger. If Jesus really was God in the flesh, then there ought to be credible evidence… The Case for Christmas invites readers to consider why Christmas matters in the first place. Somewhere beyond the traditions of the holiday lies the truth. 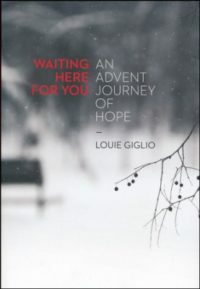 This little book is perfect as a gift or for use in ministry during the Christmas season or any other time of the year. This year, anticipate the busy season of Advent and Christmas with hope rather than dread. Join Passion conference founder and pastor Louie Giglio as you take hold of God’s great promise embodied in the 24-day countdown to Christ’s birth. Discover that waiting is not wasting when you’re waiting on the Lord. You’ll come away with peace and encouragement for your soul! 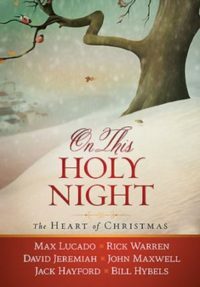 Featuring the voices of today’s well-loved Christian writers and speakers, On This Holy Night shares reflections for the Christmas season that will encourage and inspire you. The six chapters are written by: Max Lucado, Rick Warren, David Jeremiah, John Maxwell, Jack Hayford, and Bill Hybels. 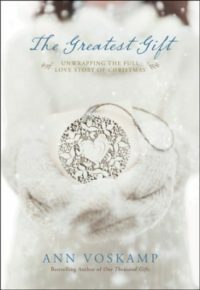 Padded hardcover with presentation page, an elegant gift book of meditations and Scripture reminders of the heart of Christmas. Max Lucado loves Christmas. The carols and cookies, the decorations and favorite films, the warmth and generosity of the season. But most of all, he loves it because it’s during this time of year that people will wonder and inquire about the baby born in the manger. This little baby became the King on the cross. Christmas proclaims the truth of Easter to come. Join with Max in this lively, heartwarming celebration of all things Christmas. 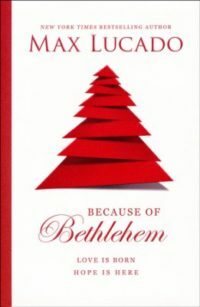 Because of Bethlehem features stories both insightful and whimsical. On every page, Max’s words will encourage, captivate and inspire you, but most importantly, they’ll point you towards the One worth celebrating. 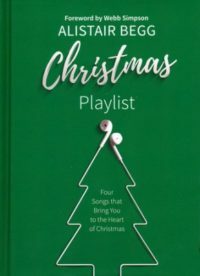 Just add four songs to your ‘playlist’ to take you to the heart of Christmas! Dig into the Gospel of Luke for songs from a teenage girl (Mary), a respected priest (Zechariah), a group of angels (speaking to shepherds), and an old man (Simeon). Pondering the historical events of Christmas might just cause your heart to sing. 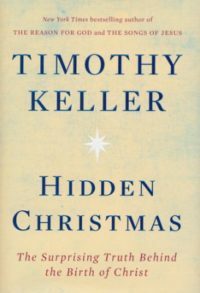 In his new book, Hidden Christmas: The Surprising Truth Behind the Birth of Christ, pastor and New York Times bestselling author, Tim Keller guides readers through an illuminating journey into the surprising background of the Nativity story—a story that celebrates the advent of Jesus Christ, who came to save mankind and restore our humanity to how it was meant to be. This profoundly moving and intellectually provocative book unpacks the message of hope, redemption, and salvation hidden in the biblical account of Jesus’ birth so that readers may experience the redeeming power of God’s grace in a meaningful and deeper way. In Why the Nativity? 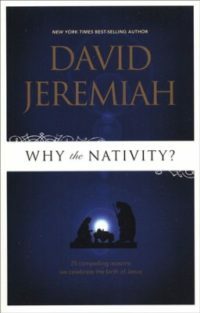 25 Compelling Reasons We Celebrate the Birth of Jesus, author David Jeremiah addresses the top 25 questions frequently asked about the birth of Jesus. He discusses how Jesus’ birth changed both world history and the lives of countless people. Read this book and this year when your friends and neighbors ask, “What’s all the hoopla about Christmas?,” you’ll be ready. Includes discussion questions. The nativity story didn’t start with a journey to Bethlehem, an emperor’s decree, or a virgin conception—it began with Adam! Exploring the lineage of Jesus through the Advent tradition of the Jesse tree, Voskamp retraces the epic pageantry of mankind from Genesis to God’s greatest gift—his Son. A timeless reminder of the true meaning of Christmas! With your purchase of The Greatest Gift, you’ll be given access to an online resource where you can print out the 27 beautiful Jesse Tree ornaments featured in the book. 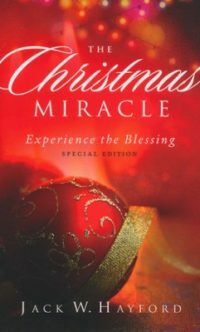 In this beautiful book, ideal for gift-giving, Jack Hayford reveals how Mary’s experience of the “Christmas miracle” provides practical lessons in hope for all believers – truths to lift us beyond our ability, wisdom, and fears. If we, like Mary, open ourselves to God’s gifting and strength, the potential outcomes are beyond imagination. Combat the stress of the holidays by focusing on the true liberating message of Christmas! 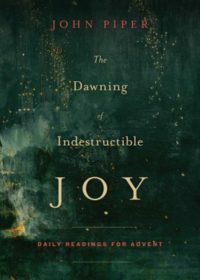 Drawn from the extensive preaching and teaching ministry of John Piper, these 24 Advent meditations will lead you to ponder the events surrounding Jesus’ birth – as well as his significance as Israel’s long-awaited Messiah, joy-bringer, and Savior of the world. And of course there are many more great books about preaching and you can check them out at Christianbook.com.